Lydia Pérez has spent the last twenty years as a performer and cultural educator/activist in the U.S. and Puerto Rico. She has been recognized as a community asset by the Puerto Rican Affair Administration of Puerto Rico in Connecticut agencies, "EntreArte" of Puerto Rico, offices of the Rhode Island Governor and Congressional Representatives, State Representatives, Mayors of Providence and her town, Warwick. Her work has been highly sought by cultural organizations and school departments in Rhode Island, Connecticut and Massachusetts. As a Founder and Executive Director of the Puerto Rican Institute for Arts and Advocacy, Inc. (PRIAA), Lydia has an extensive record of promoting activities that increase cross-cultural understanding, cultural awareness and the self-esteem of both children and adults. 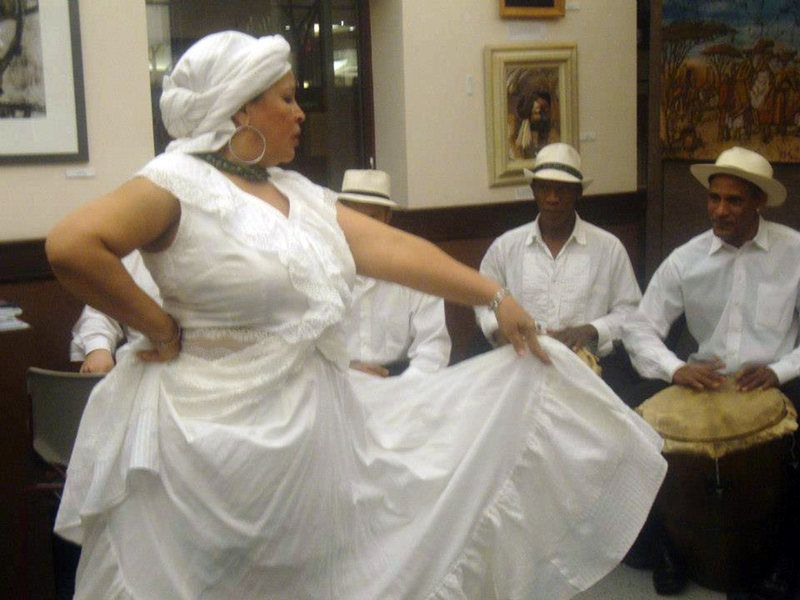 Lydia is the Director of YORUBA 2, an award-winning, nationally renowned traditional music and dance group from Puerto Rico. The group is known for playing genres of music such as "bomba"," plena", and other rhythms. She offers solo and residency classes and workshops, along with ensemble groups in school programs as part of integration arts academic development fostering 21st century leaders. They are inspiring audiences to reconnect with their roots. Among the Oral History of Rhode Island, "Nuestras Raices", Lydia Pérez is a pioneer, first to bring Afro-Caribbean music and Puerto Rican Culture to local attention in Rhode Island. She has received several awards as an Individual Artist and seven as a Traditional Artist fellow, including the 2010 and 1998 Runner Up Fellowship, the 2000 Fellowship Award in Traditional Arts from RISCA and the 2000 Fellowship Award from RI Foundation. At a national level, Lydia represented New England in the Southern Arts Federation. She received the American Tradition Award in 1999 and 2000, sponsored by the National Endowment for the Arts with the Traditional Artists Program. The Puerto Rican institute for Arts and Advocacy was awarded with the RI Foundation Economic and Community Development Award in 2007.